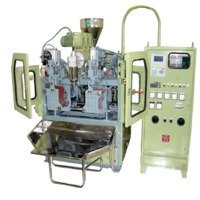 Plastic Machineries by Pihu International. Supplier from India. Product Id 897506. Injection Blow moulding, Plastic blow moulding, Pet Blow moulding. The line is mainly used to produce flow pipe and drainpipe etc. The set is composed of extruder, die, cooling trough, tractor, the cutting machine, plank and electric control system etc. The line can also be used to produce large-caliber pe insulating tube. Its products mainly apply in the outer layer of the heating pipe, whose mesosphere is polyurethane foaming plastic and the inner layer is steel tube. This unit uses techniques of once-through shape molding, having high efficiency and excellent product quality. Design of machine structure is scientific and reasonable, it can work stably and reliably, easy to operate and maintain. Polyethylene air-cushion film (also called polyethylene foam film), which is divided into 2 kinds: common polyethylene air cushion film and composite polyethylene air cushion film unit. It is a kind of widely-used packing material. It not only has good ability of vibration-reduction, anti-impact and thermo synthesis, but also has the advantages of good corrosion resistance and good transparency, etc. It has been widely used for household post parcel, precision instrument, bike, polyammoniacum furniture and other packing. Search More Like "Plastic Machineries"